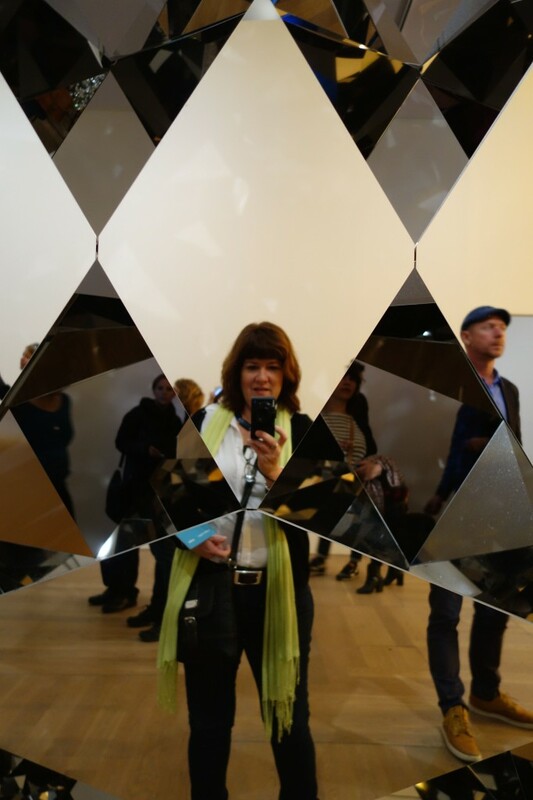 Self portrait at the Olafur Eliasson exhibit at the Moderna Museet. At the beginning of this year, I wrote about some of my goals for 2015 and how I wanted to spend more time traveling and writing for me instead of just for work. While the year has not been without difficulties by any means, I am happy to say that I did a pretty good job of satisfying both of these goals at least. 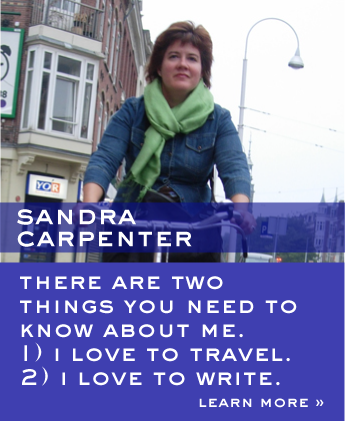 I took some great holidays and did some fun creative writing. I also made time to do some of my favorite simple things like painting, cooking and baking. And on a fun note, I’ve been acting in a theater performance for the past few years. The show is called Wild Minds and we did six performances at Sweden’s largest theater festival at the end of May. In 2016, I will perform this show in Berlin and at Dramaten, Sweden’s prestigious National Theater. So the coming year is looking to be interesting as well. 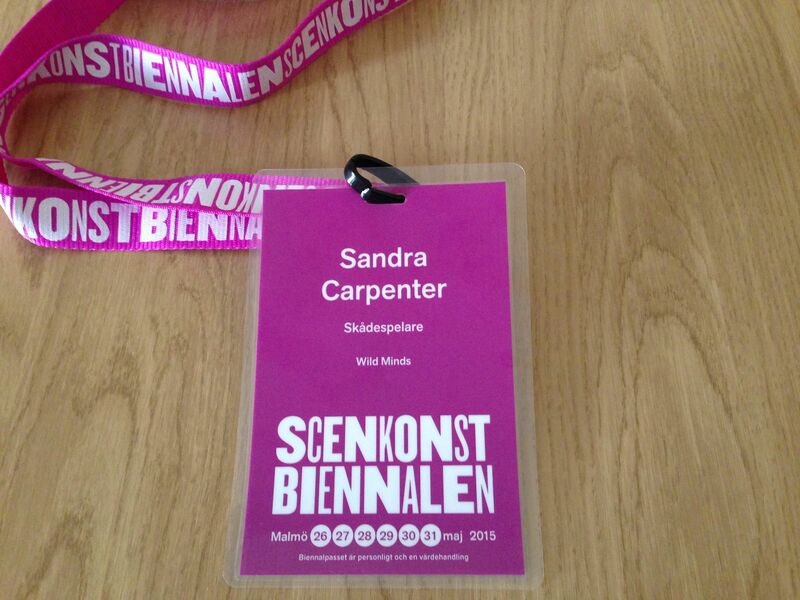 My badge for the Wild Minds performance in Malmö, Sweden at the end of May. In honor of the coming new year, I thought I would take a slightly different turn and tell you about six things that made me happy–it’s my version of a gratitude list. 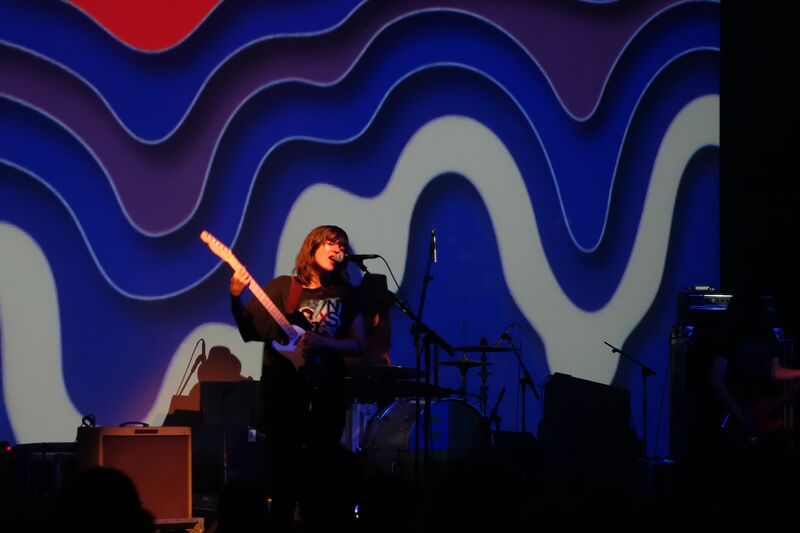 Courtney Barnett ‘s show in Paris was outstanding. 1. Creative time. I’ve enjoyed acting, painting, going to art museums and seeing live music. I had not painted in some years, so getting my art supplies out again was a lot of fun. Going to Sculpture by the sea in Denmark was a big inspiration on two counts– the art was thought provoking and beautiful and the setting along the Danish coastline was stunning. The Moderna–Stockholm’s modern art museum–had several good shows this year, including the Olafur Eliasson (see the photo above) and Louise Bourgeois shows. 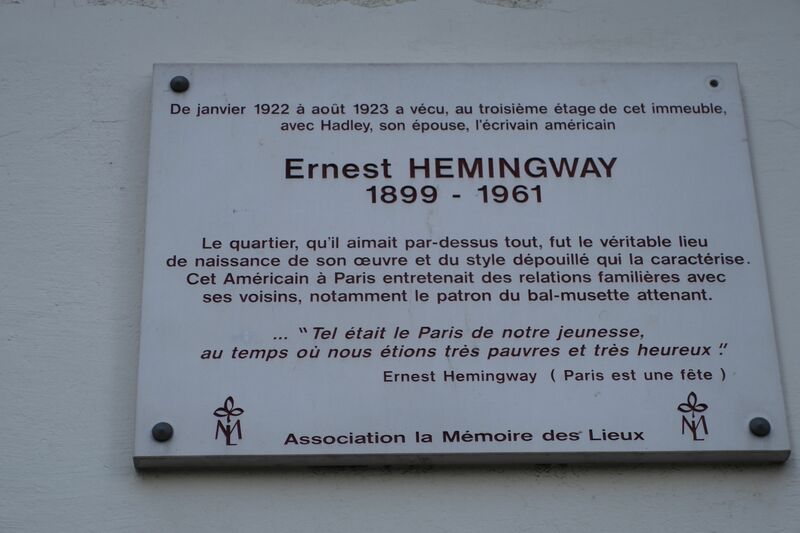 This plaque for Hemingway is in the Latin Quarter of Paris and just at the end of the street where we stayed. 2. Traveling. It’s always a pleasure to really get away from it all at the Great Barrier Reef and Robert and I did a great job of enjoying the sun, swimming and snorkeling. Pushing carpe diem to a new level, we booked a trip to Santorini and left the next day. We loved the scenery, the food and the wine. And Paris, well, it’s Paris and it’s always lovely to be there. Robert and I stayed in the Latin Quarter which somehow felt like the perfect intersection of us– he was there to give talks and be part of some conferences at two of the universities in the area. And of course, the quarter is known for the writers who live there. Ernest Hemingway lived and worked in the area in the 1920s and there was a plaque commerating this right on the street where we stayed. For a book-loving English lit major like myself, this was a thrill. And one of my favorite bookstores, Shakespeare and Company, was also nearby and we spent several hours there. This historic bookstore was started by American expat Sylvia Beach in 1919 and served as the gathering point for English speaking writers and publishers. Hemingway mentions the shop in his Paris memoir A Moveable Feast. 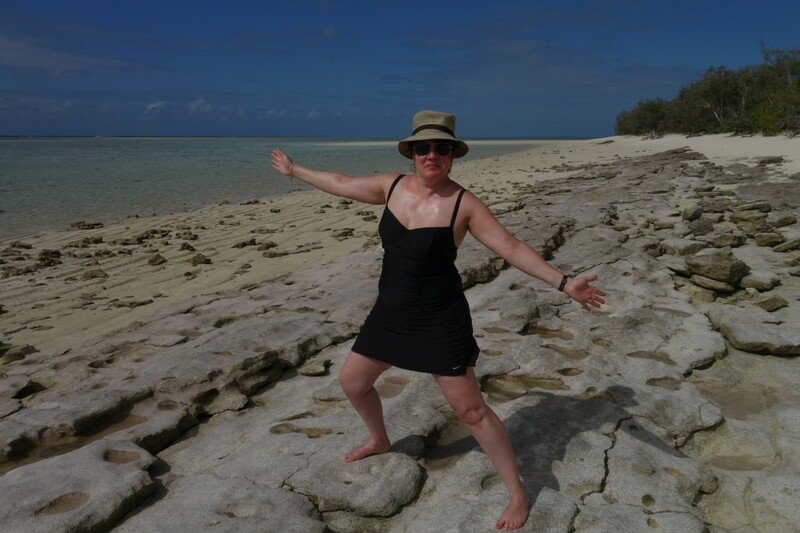 What’s not to love about spending time on the Great Barrier Reef’s Heron Island. 3. Hanging out with family and friends. I made my two annual trips to the US and one to Australia and we got good visits in with family and friends on both continents. I survived jelly fish stings, huge thunderstorms and also enjoyed baseball games and picnics. Celebrating holidays in Sweden reminds me of what good friends we have and even though midsommar was cold, we had fun. We even traveled to Oslo for a friend’s 40th birthday party. Thanksgiving was also extra special and a dance party helped us lose the after turkey coma. Robert and I spent our 13th wedding anniversary in Stockholm, but did some fun reminiscing about our honeymoon. Owning a home again was a long time coming in Stockholm and it’s finally made me feel rooted in all sorts of ways. Little things made me happy, like planting flowers, herbs and vegies on the balcony. But perhaps the key to being at home in my adopted homeland has been figuring out my balance, including discovering what new things to take on and enjoy both behaviorally and culturally, while still holding on to the things that make me, me. 5. Cooking, baking and perusing food markets. Thanks to having a home I feel comfortable in, baking and cooking were fun to do again. I tried baking some Swedish goodies and making pies like my mother and grandmother. I got some great tips from hanging out in the kitchen with a Swedish chef and had one of the best dinners of my life in Copenhagen. And I even was interviewed for a Monocle radio show about the gourmet burger trend in Stockholm. 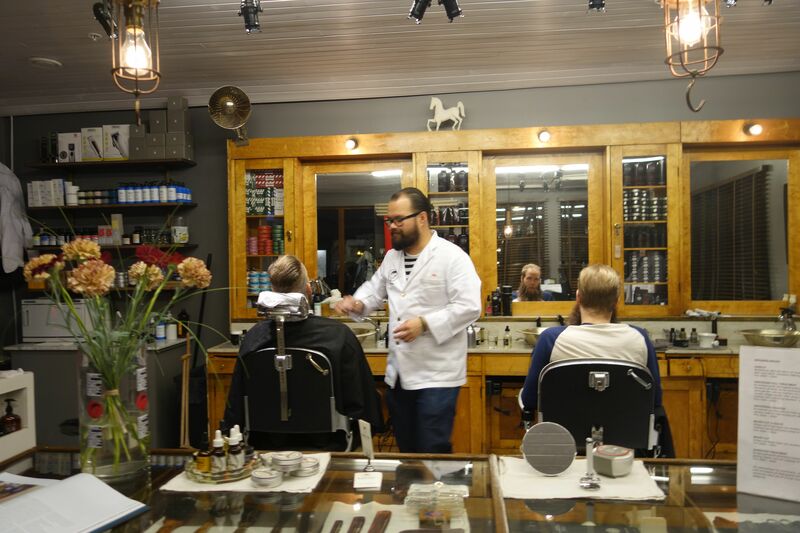 I hung out at Stockholm barber shop Roy & Son to get the story about men’s vanity for Scandinavian Traveler. Even after all these years of working as a writer and editor, it still makes me happy to write. It was fun to be back in the pages of SAS in-flight magazine Scandinavian Traveler for an article about finding happiness in Denmark. I wrote about Stockholm for cruise magazine From the Bridge: click here to read it:. FTB44_PopularPort And I ended the year with another story in their pages about the trendy return to retro barber shops. And these are just a few highlights of 2015. Happy 2016 everyone! 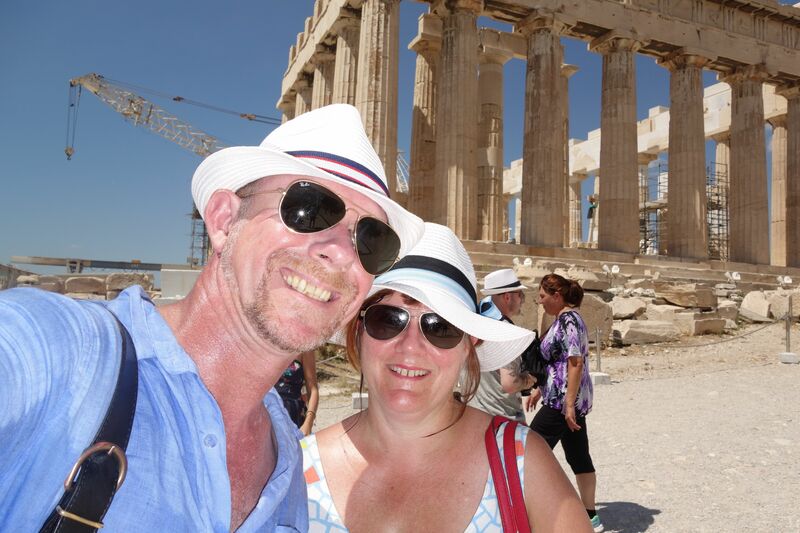 At the Acropolis in Athens, Greece, on an unbelievably hot day in August. Thanks Roger–you are too kind! Glad you enjoyed it!